The Qatar Financial Markets Authority (the “QFMA”) has issued rules on margin trading on 10 September 2014 (the “Margin Trading Rules”). Prior to the issuance of the Margin Trading Rules, margin trading was only mentioned as a regulated activity under Law No. 8 of 2012 (the “QFMA Law”) among other activities listed in the definition of ‘financial services’. The margin trading process for customers of a QFMA licensed financial services company is spelt out in detail under the Margin Trading Rules covering the opening of the account up to registering of shares with the Qatar Central Securities Depository (the “QCSD”) as well as registering increases thereof on the customer’s accounts opened by the financial services firm managing the account for the customer. Margin trading account holders may not subscribe to initial public offerings through their margin trading accounts. They can only trade in listed securities. Margin trading customers may only have one margin trading account with one QFMA licensed financial services company. According to Article 11 of the Margin Trading Rules, the marginable securities and purchased securities by margin trading and cash balances of the customer in the margin trading accounts are permitted collateral against margin trading financing. Financial services companies may not take other forms of collateral for margin trading except after obtaining the QFMA approval or in exceptional cases i.e. continuous decline in the market value of the purchased securities or suspension of trading of the purchased securities for more than 7 working days. A financial services company has priority rights, to recover its debt from customers, over the securities purchased by margin trading by virtue of Article 14 of the Margin Trading Rules. According to Article 439 of the Commercial Code No. 27 of 2006 (the “Commercial Code”), lending against securities is considered a loan against a pledge and such pledge must be recorded (on the securities itself for physical securities or in the QCSD for listed securities). Although a pledge of securities may not be necessary for the purposes of the Commercial Code as implied by the Margin Trading Rules, there are no restrictions in the Margin Trading Rules on the customer to sell or assign those securities or take financing from other lenders against those securities. Therefore, a pledge of the securities deposited in the margin trading account would be a prudent approach once enabling machinery is tested. The QFMA requires a financial services company to hold a licence to execute sale and purchase orders of securities. Other licensing requirements for margin trading activities are set out in Article 3 of the rules including minimum capital (to be decided by the QFMA), a bank guarantee (with a value to be determined by the QFMA) and no material breach of capital adequacy requirements in the year preceding the license application. The licensing application must be supported by audited and unaudited financial statements, a report on margin trading data processing system applied by the financial services company and a margin trading account opening form and agreement. A margin trading agreement must include material information including responsibilities and rights of the parties, trading risks, the right of the financial services company to sell the securities in case of decline in the maintenance margin, collateral, voting rights, the right to dividends or interest, fees and commissions, agreed initial and maintenance margin and interest applied by the financial services company on the financing (not to exceed the lending rate declared by the Qatar Central Bank). The QFMA approval is issued in 90 days. The Qatar Exchange (“QE”), being the financial market in Qatar and the implementation arm of the QFMA, is in the process of issuing a new rulebook which will include the exchange specific operational guidelines on margin trading. The exchange is conducting extensive discussions with the QFMA and the primary brokers and banks in the market to facilitate the issuance of the new rules of the QE on margin trading. No brokers or other financial companies have been licenced to date to carry out margin trading. The implementation of the Margin Trading Rules by the QE has not been tested. Obtaining the licence of the QFMA to carry out margin trading activities would require working closely with the QE and applications would help shape the QE rules on margin trading. 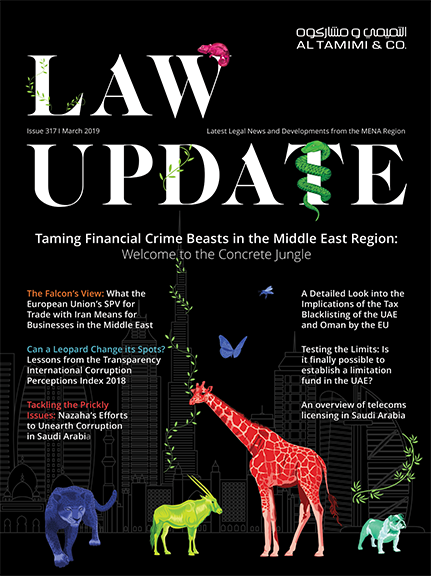 This article first appeared in IFLR Magazine (International Briefings Qatar) February 2015.